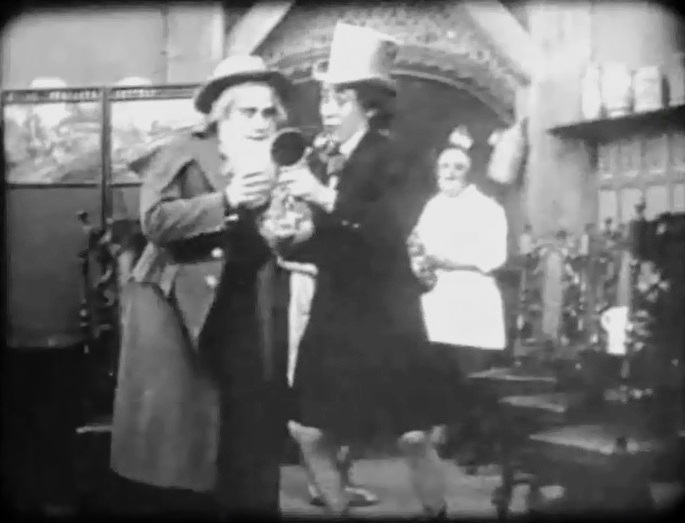 "The Cricket on the Hearth" is a short drama directed by D.W. Griffith. The film is included in our program to illustrate the work of two of our stars: actor Arthur Johnson and cinematographer Billy Bitzer. A young man leaves his girlfriend to make a fortune at sea. Upon his return he finds out that she is about to marry an older man. He decides to check if his girlfriend loves her husband to be, and goes back home in disguise. He confides in his sister, but both are seen hugging by the bridegroom, who reports the incident to his sister's husband. In the meantime the young man is reassured in his girlfriend, they find a minister and get married. The sister's husband is also reassured in his wife. 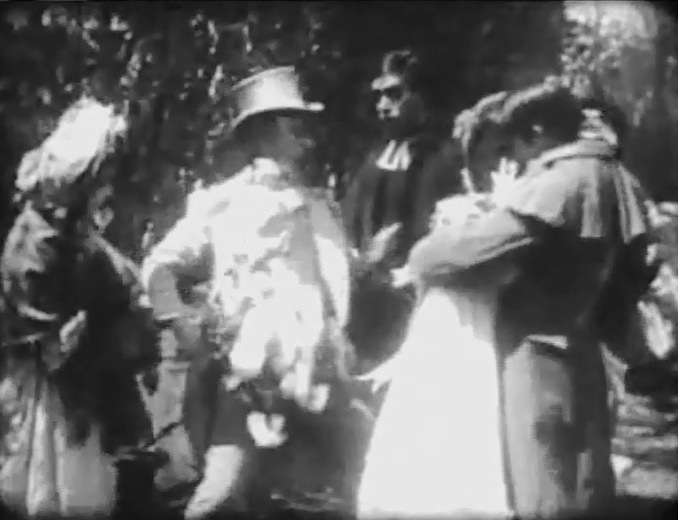 The ex-bridegroom accepts his inevitable fate and congratulates the newlyweds. 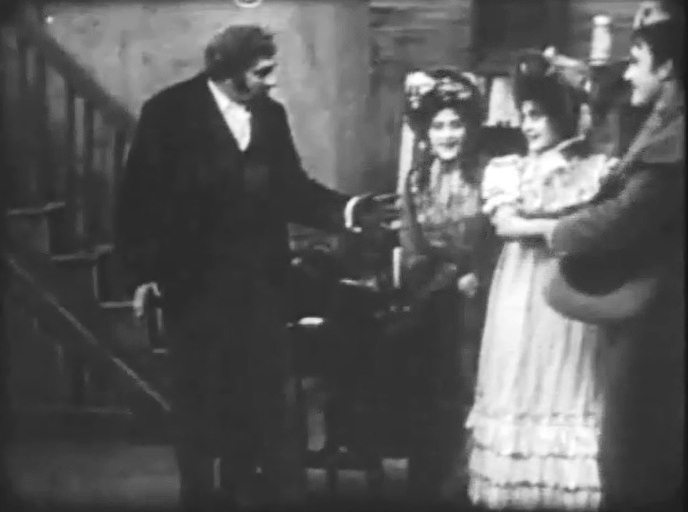 A scene from "The Cricket on the Hearth" (1909), directed by D. W. Griffith. 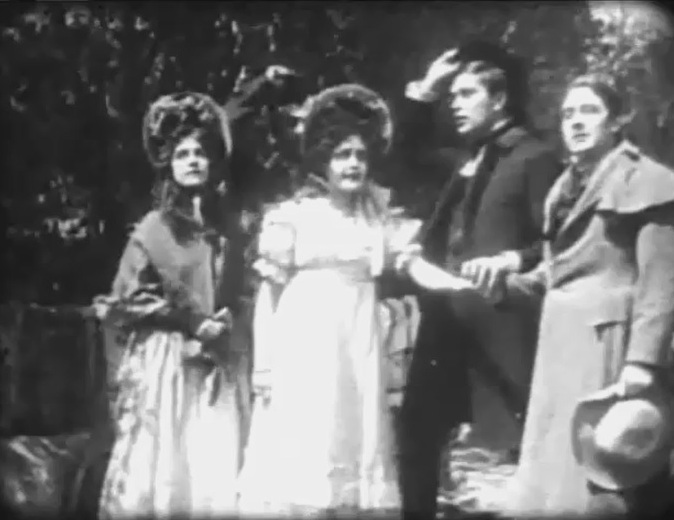 A scene from "The Cricket on the Hearth" (1909), directed by D. W. Griffith. Arthur Johnson plays the minister.